I spent most of my summers on the lake growing up. I will never forget the freedom of being out on the lake, able to go about anywhere I darn well please. Skiing, inner tubing, and wakeboarding were just a part of everyday summer life. But part of my love of the lake was the mystery and danger of the lake. 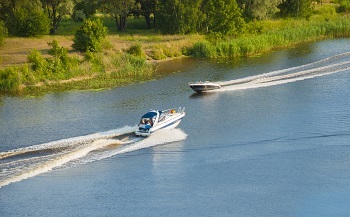 The most common type of boat involved in an incident is an open motorboat. The most common age of a boat operator involved in an incident is a driver between the ages of 46-50. The most likely size of the boat is between 16-26 feet in length. The most likely cause of collision is a collision with another vessel while recreationally cruising. The most common cause of these types of incidents is failure of the driver to watch where they are going. The most likely time to be involved in a collision is on Saturday between Noon and 4 p.m. The body of water with the most incidents was Chickamauga Lake with 13 total incidents in 2016. Rented or borrowed vessels were used in 23% of the incidents. Jet Skis were most likely to be involved in an incident on Dale Hollow Lake, Kentucky Lake, and Old Hickory Lake. The most common age group for a Jet Ski incident is 12-15, 21-25, and 51-55 years of age, each age group having 3 incidents each. The number of whitewater fatalities was 11. Recreational paddle craft fatalities was 4, most often caused by capsizing. The number of Boating Under the Influence/Boating While Intoxicated (BUI/BWI) was 13. The lake is a beautiful place to be, but it holds danger and must be respected. 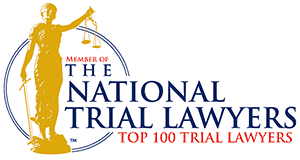 If you or someone you care about is injured on our lakes in Tennessee, please call GriffithLaw to discuss your case. We are here to help.